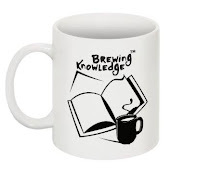 Brewing Knowledge: Leaders: Get Out of Your Office! Leaders: Get Out of Your Office! How have you been successful in demagnetising yourself from the office? What do Principals do in their offices all day? There iPhone connects with Google Drive, Twitter, Evernote and Google Hangouts. Embrace the digital tools that empower your Smartphone to be the hub that turns the gears for your school site. After first hearing about #NoOfficeDay on Twitter last week, it actually made me kind of laugh. The #NoOfficeDay is a Tweeting Challenge a challenge for principals, to spend more time each day in classrooms than their office. This is one of the ways to demagnetise from the office. On#NoOfficeDay; #NoOfficeDay should be about learning alongside teachers and students. What do the teachers and students want me to learn? No Office Days should be special. Shouldn’t have supervision or evaluation of teachers; instead, participate actively in learning and teaching as a peer. Sometimes teach a lesson ... Sometimes provide student support... Still other times, simply be present, participating enthusiastically in whatever the activity is. Be highly visible on campus, while staying connected through a plethora of digital tools throughout the day. observing the students in their element can one truly understand their experiences, feel their existence, and know the goings-on of the entire school. And there is no substitute for that knowledge. It’s such a simple concept -- but it makes a huge impact, Whitaker told Education World. I would tell all administrators, to be in the classrooms -- immerse yourself in the learning of your building. Make it a priority. How does this help students? Administrators get the opportunity to see students interacting in a classroom environment. Some students need to know that they are safe. When students see administrators, they understand that they are not very far away, when and if, they need them. It also shows teachers that their administrators care about what they're doing in the classroom. A kind word on the part of a principal can help a student stay on track. Visibility breeds reassurance and familiarity, while at the same time offering a healthy dose of fear and order. It has been said that when a principal walks into a room, it has the same effect as seeing a state trooper pulling onto the highway—the students straighten up and “take their foot off the gas,” even if they weren’t speeding (or, misbehaving). I promise that if we make walkthroughs a priority, you will see significant changes in school climate, teacher diligence, student performance, and many of the "issues" that pull you back to the office will disappear of their own accord.